I just finished up a new quilt for the Quilts of Valor foundation. The mission of the QOV Foundation is to cover ALL those service- members and veterans touched by war with Wartime Quilts called Quilts of Valor (QOVs). 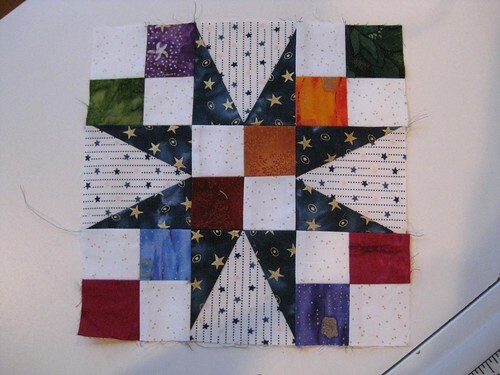 I started the quilt in a workshop with a well known quilt designer, teacher and author, Bonnie K. Hunter, who designed this quilt. 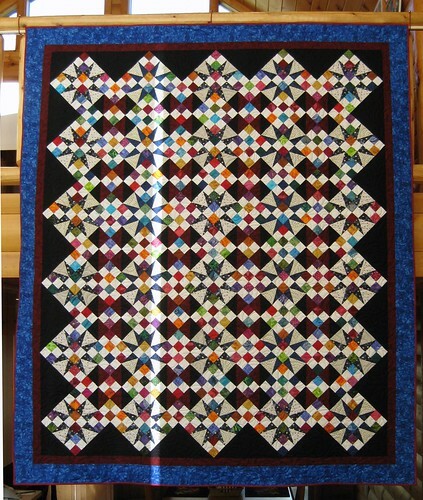 Bonnie named the quilt “Cathedral Stars” and here is a link to her pattern. ……..and the traditional block called 54-40 or Fight! When all the blocks are complete, the setting triangle are cut. 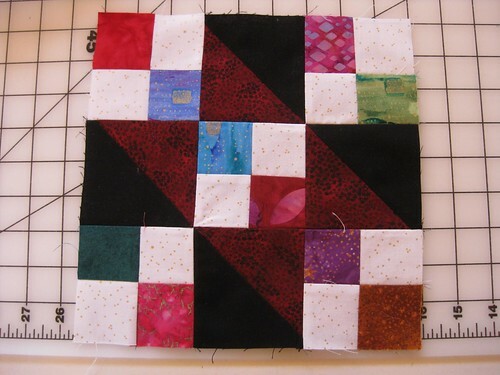 In this case I chose black fabric to really set off the block colors. 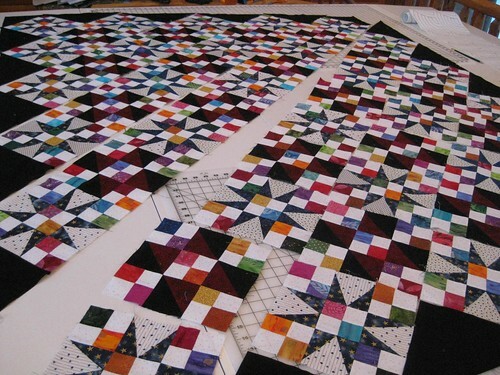 All the blocks and setting triangles are arranged on a large table to get everything in the right order and ready for sewing together. 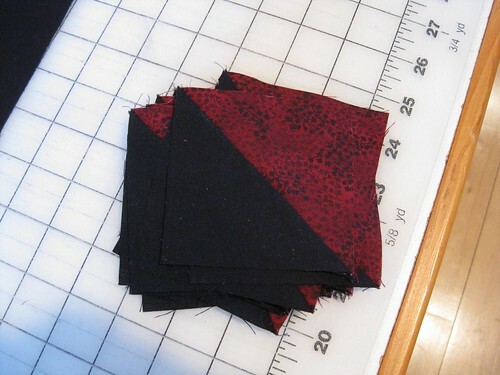 Once all the blocks and triangles and border fabrics are sewn together, I machine quilt a pattern all over a layer of fabric backing, batting and the sewn top. 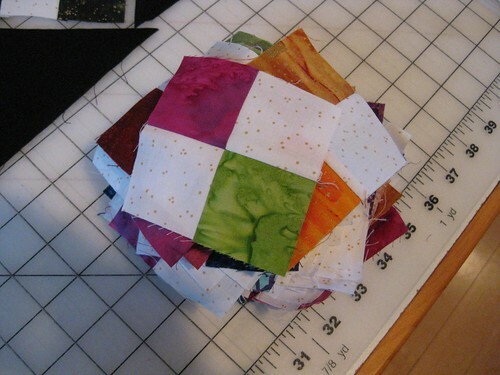 Here you see how the 54-40 or Fight block looks after quilting…. 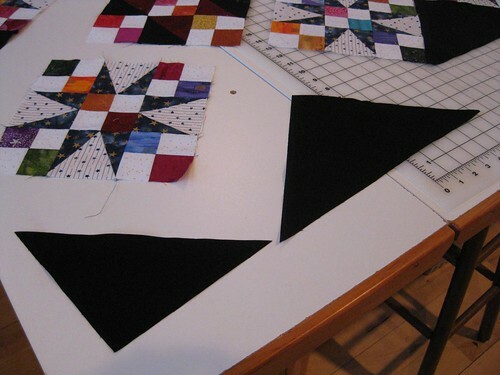 …..and the Jacob’s Ladder block……..
and the setting triangles. Isn’t the blue thread lovely on the black? 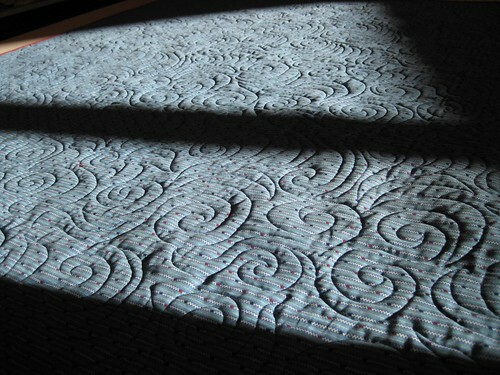 The machine quilting really shows up nicely in the sunlight. The is the wrong side of the quilt………. 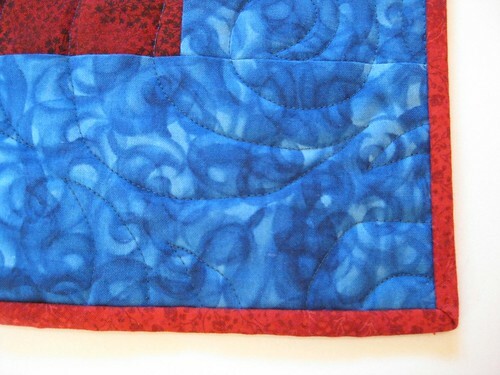 …….and this is the right side of the quilt. ……..and from the right side. The binding is sewn down by hand. 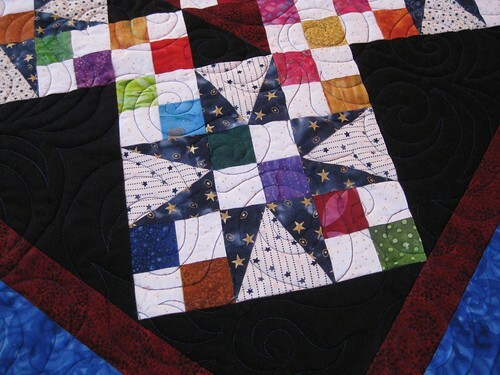 This is a view of the whole, finished quilt which I call “Battle Stars.” I hope my recipient likes it. I love your quilt. 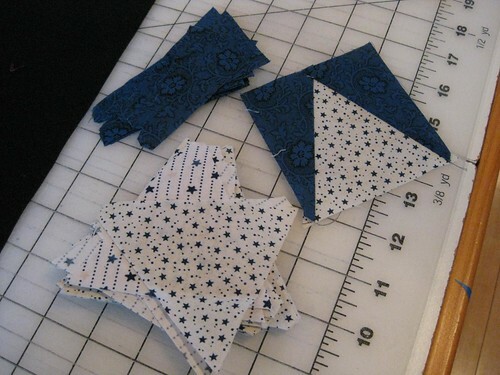 I’ve often admired the pattern but have been afraid to try all that piecing. 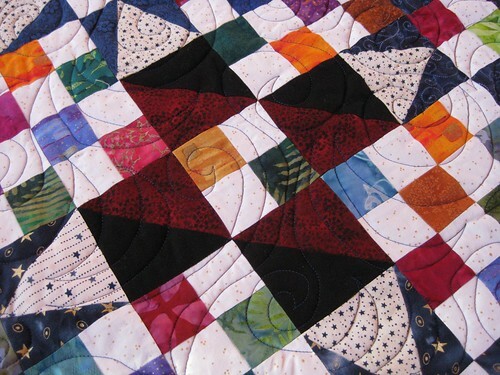 Your quilt is beautiful and I love the way you have quilted it. I’m sure your recipient will be thrilled. 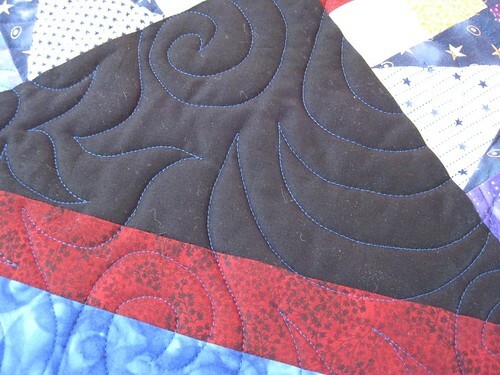 This a beautiful quilt…I am sure whomever receives it will love it. 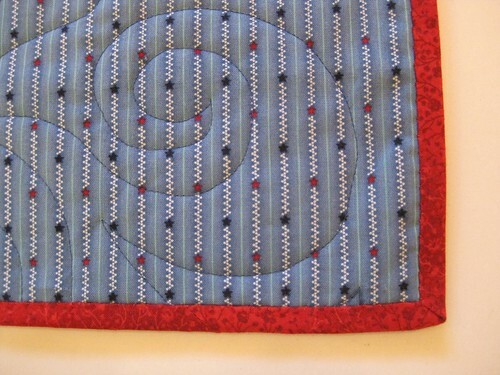 Bonnie designs such wonderful quilts and I’m sure she would be very proud of the quilt you made. You did a GREAT job! Thank you for being so generous to donate this lovely quilt. Very, very nice. No doubt the recipient will love it. Wow what a beautiful quilt and for a great cause. I thought it looked like one of Bonnie’s designs. Well done! 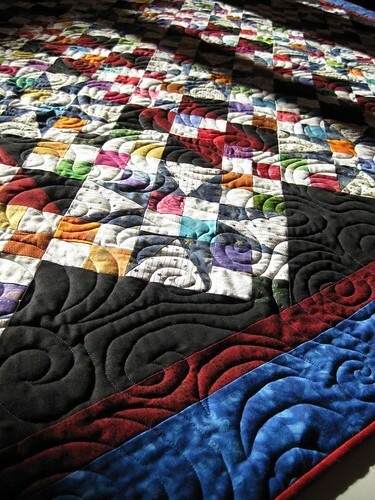 Another AWESOME quilt…your work is beautiful.